The Chengdu Motor Show 2018 has been host to some really interesting and even drool-worthy cars. This particular model, however, is a league above. 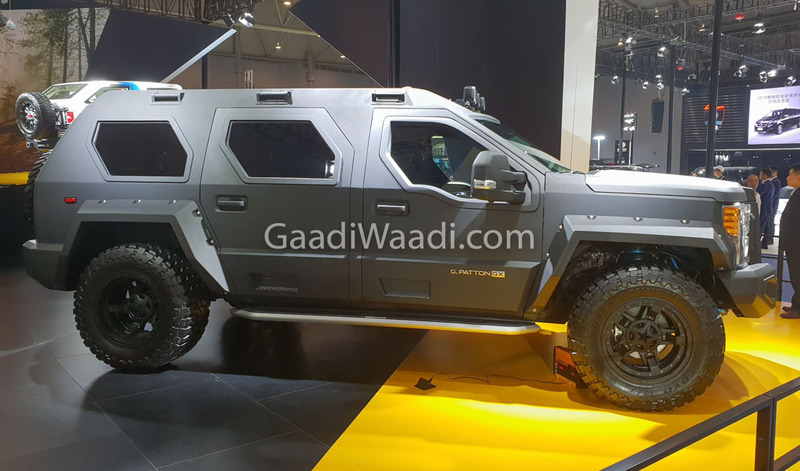 The G.Patton GX made its China debut at the Beijing Motor Show 2018 in May this year. 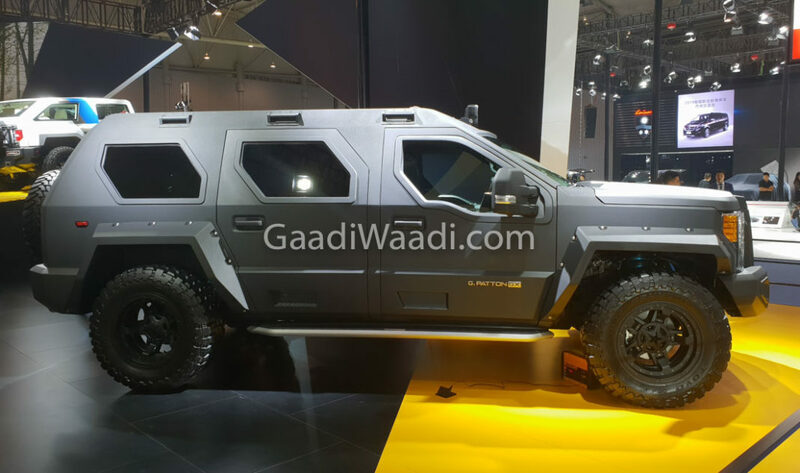 It costs a whopping Rs 10 crore, in Indian currency, and is actually the biggest SUV we’ve ever known of. The founders of the G.Patton are big admirers of the American military vehicles. Even the name of the company pays homage to General George S. Patton, who, during the second World War, was the commander of the tank corps in France. 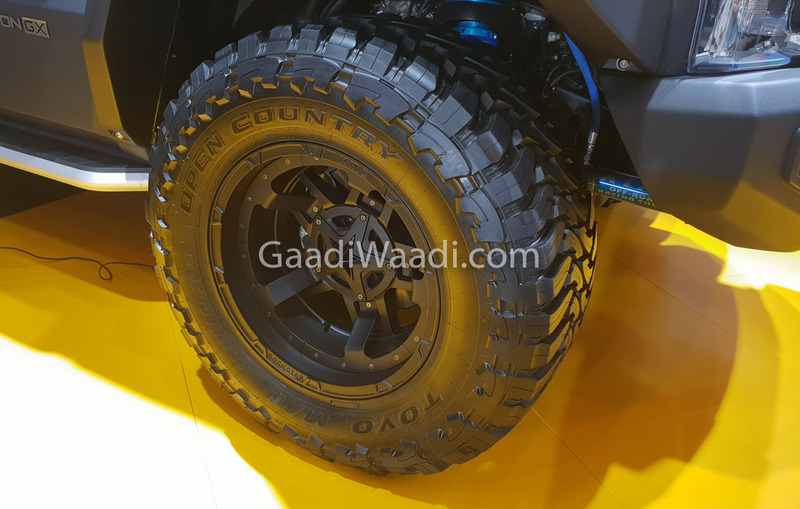 The company started its journey by selling super-exotic SUVs that were based on the Jeep Wrangler Unlimited and Ford pickups. These vehicles were made of composite materials and ordinary steel. However, they were styled in a way that they looked like real armoured cars. Now, the company has stepped up its game and has come up with their best product ever. 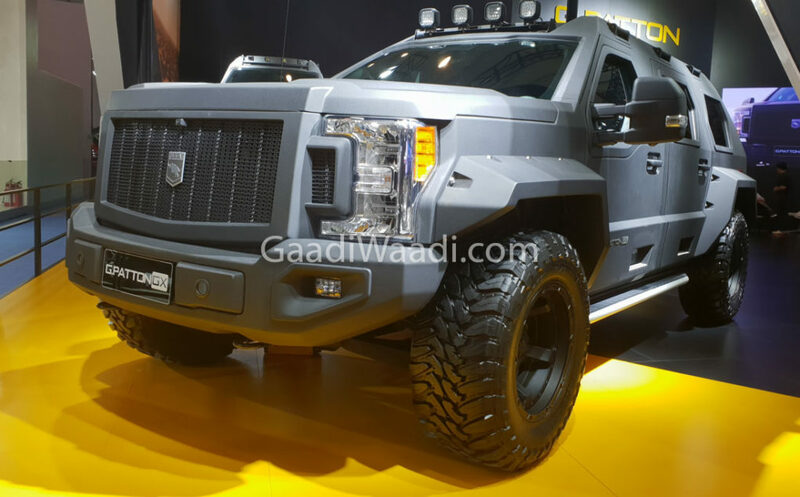 Known as the G.Patton GX, the custom build is being described as “the largest SUV in the world.” Honestly, we hardly doubt this claim. 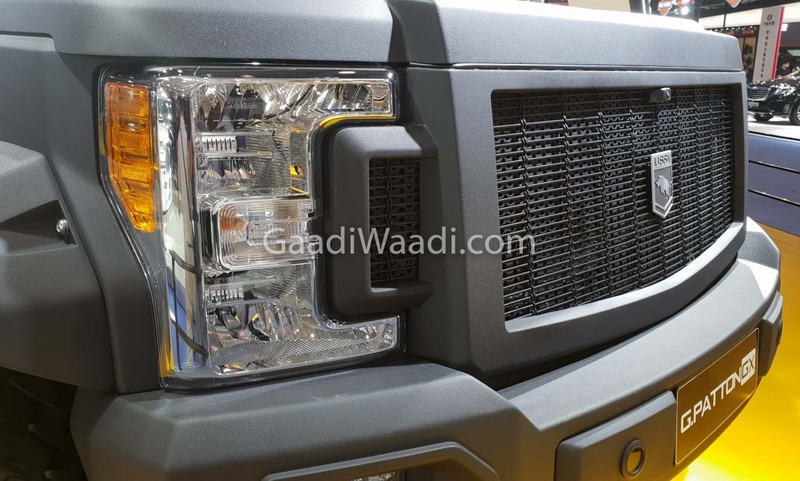 The GX is based on a Ford Super Duty’s chassis that has been extended by to an overall length of 6,000 mm. To put things in perspective, the Mercedes GLS has an overall length of 5,130 mm. Even a Rolls Royce Phantom measures only 5,762 mm. Yes, that’s how long this SUV actually is. 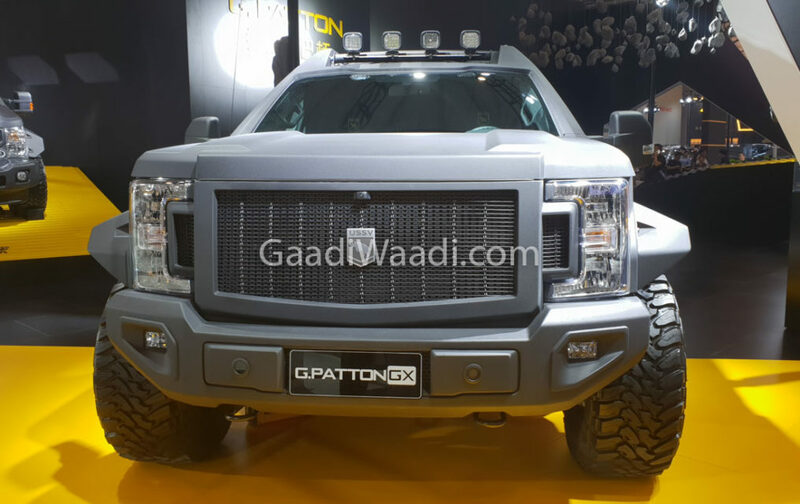 Powering the G.Patton GX is a V6 engine that outputs a maximum power of 375 hp. Of course, you can have a more powerful motor to match that macho bodywork. The company is also offering a 6.7-litre turbocharged V8 engine and even a 6.8-litre naturally aspirated V10 engine. The GX also gets four-wheel drive. Like other G.Patton vehicles, the GX doesn’t get an armoured bodywork.